﻿The continued growth and success of British boat builder Fairline, sees the launch of the new Squadron 58 and firmly place another sure to be hit model into the Sports Flybridge Cruiser market. Fairline have incorporated key design trends and ongoing signature styling as seen on the latest generation Squadron and Targa models. The sleek, avant-garde design, ingenious use of space, unrivalled craftsmanship and supreme technological excellence will delight any would be buyer, while you’ll be captivated by the feeling of unprecedented spaciousness and light, airy ambience throughout this boat. The magnificent full beam master stateroom is one of our finest ever, with panoramic hull windows, an immense, cabin-width wardrobe and a state-of-the-art bathroom layout. The saloon, galley and guest accommodation? Same story. 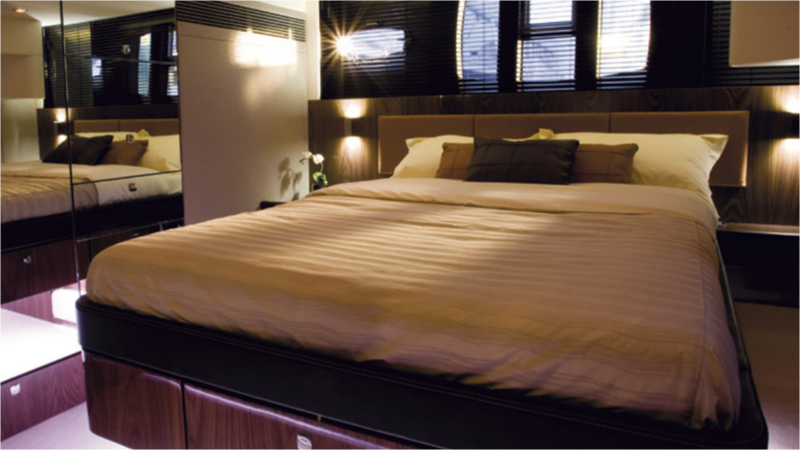 Unmatched light, space, facilities and comfort … luxury redefined. 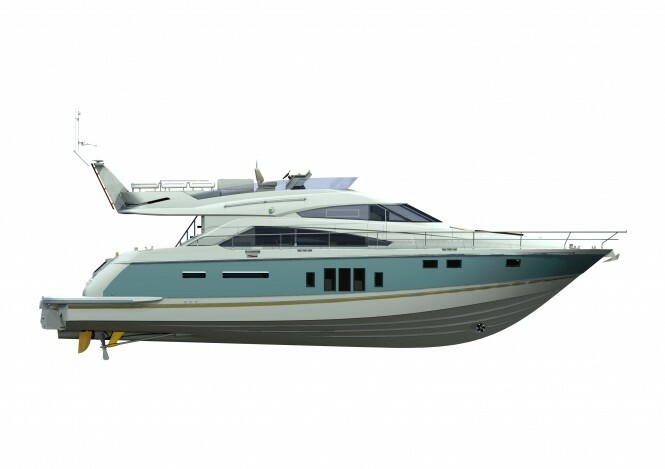 Add in sensational features like the revolutionary Fairline Tender Launch System, the panoramic hull windows, the fabulous swing-up overhead cockpit shower and the frameless-look glass saloon/cockpit doors – and you have the recipe for a seriously interesting and attractive offshore cruising yacht. From the expansive, highly specified and beautifully proportioned flybridge to the fabulously appointed forward cabin, this remarkable new Squadron sets completely new benchmarks for both luxury and quality. Take a closer look. Because another world-beater is here. To help make the most of your time on the water, the innovative, patent-pending Fairline Tender Launch System, for either a Williams 325 Jet RIB or a Valiant Dynamic 2.7m, is fitted as standard on the Squadron 58. As with the award-winning Squadron 65, the latest model also features an overhead lift-up transom shower at the bathing platform. A three-stage sliding patio door connects the cockpit to the saloon. 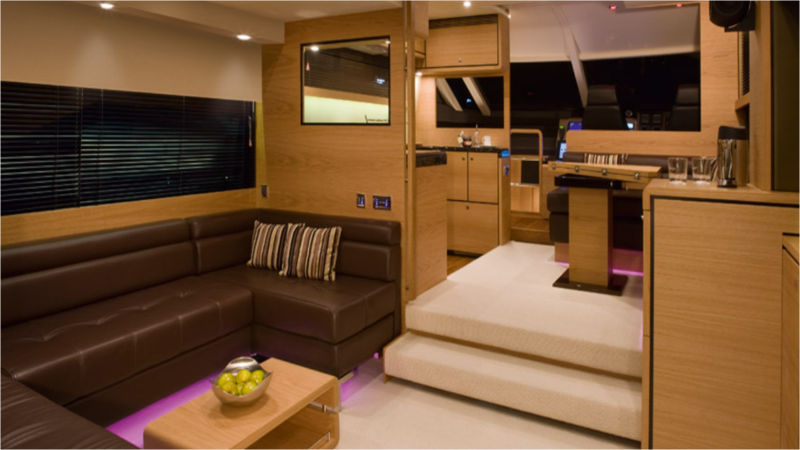 Giving further space to these living areas, the high level lockers have been relocated from both sides of the saloon and cleverly designed storage has been positioned in the saloon sofa; simply lift the top cushion to reveal. The longer hull sees the introduction of a redesigned cockpit area that brings greater headroom above the bed in the fourth/crew cabin. Newly designed mid-level lockers in the starboard guest cabin are now twice as wide as previously. The Squadron 55 was first launched in 1995 and the original Squadron 58 followed in 2000. 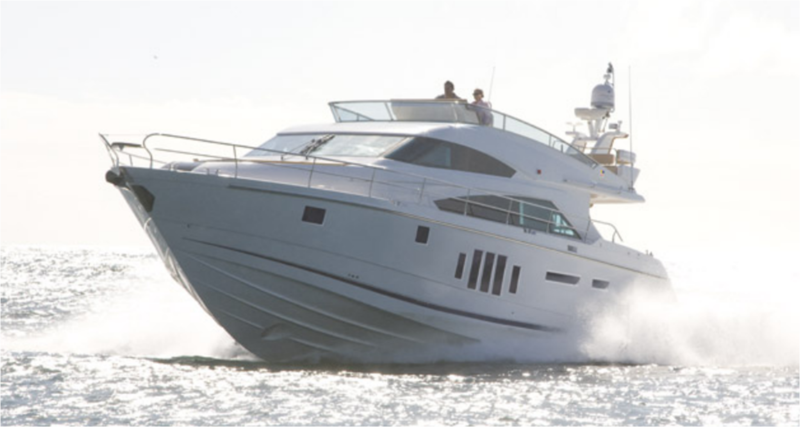 The success of these models helped lead the way in the latest generation of Squadron flybridge motor yachts, with their spacious and light-filled accommodation. Launched in 2008, the latest Squadron 55 was widely well-received due to its ease of operation on the water. With the extra interior and exterior space coupled with up-to-the-minute Fairline technology brings the latest evolution in the model, creating the Squadron 58.